Chic and modern Venetian glass earrings with two tones of glass laid meticulously side-by-side over silver foil on top of a black base. Enhanced throughout with sterling silver components. 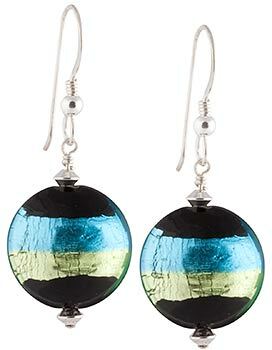 This pair of earrings mixes herb green and aqua over black and measures approximately 1 1/2 inches in length.